Since its start in 1957, Bing Lee has always been about providing customers the service of a family-owned business. Bing Lee offers a range of TVs, appliances, technology and fitness products along with the best advice and lowest prices. Purchase online and collect in-store with click and collect. Browse the Bing Lee range via the 'Shop Now' button and find the latest coupon codes on all of your appliance and electronics purchases. 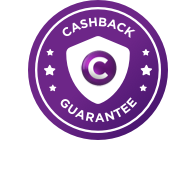 Cashback is not eligible on Asko or Miele products.